Sad fact: I love my iPhone to bits but it can't keep up with me. The Dilemma: I always ran out of battery. It's a sad state that I rely so much on being connected online all the time. Not an hour goes by that I don't check my phone for tweets, posts, @mentions, etc. I also can't help not to check-in at Four Square for c chance of becoming mayor or keeping my mayoral posts even if I'm in a convenience store. But its battery life just doesn't cut it. I know, what's you're going to say... why not get the new iPhone? 1. My iPhone is always protected - Boostcase external batteries always comes with a detachable iPhone case that keeps my phone safe from scratches and easy to take out once it's fully charged. You can also mix and match your case from your other Boostcase chargers. 2. Keeps my iPhone powered - at least once a day when I've eaten up my initial charge. One fully charged Boostcase can give up nearly full-charged battery. It charges at least 80 to 85% on a 10% amount of battery life on my iPhone. So that's a good 75% charge to last me the rest of the day. 3. 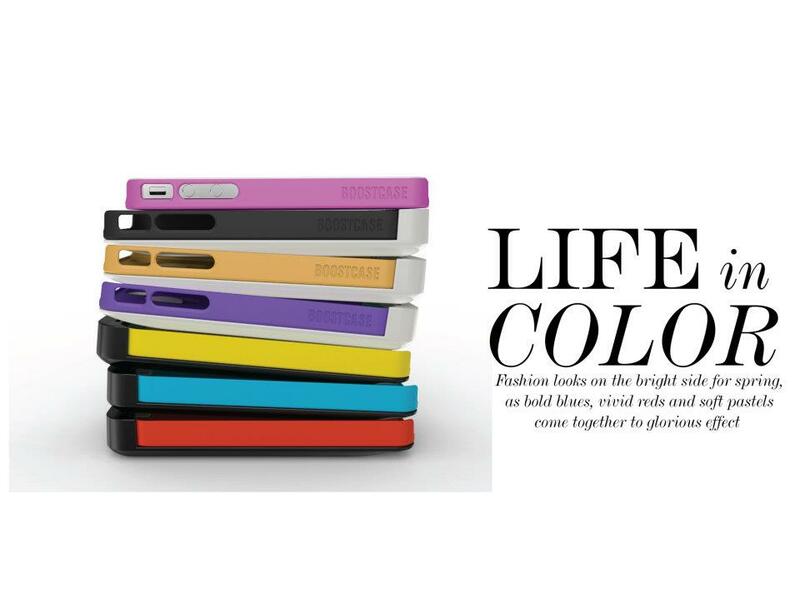 It's chic-looking - this almost 2-in-1 detachable case (one lightweight plastic case and the external battery itself) has a variety of colors to choose from. I prefer this white and pink combo though coz it's so girly and yet I surprise the boys that this is one impressive gadget. Aside from makeup, I dole out a lot when it comes to my gadgets. So I don't mind shelling Php3550 for the Boostcase Hybrid. Oh! You know when you'll love an external battery pack? When you're at the middle of the road travelling and you don't have any way of charging your phone! Or when you're on an overnight trip with the gals and all of them have taken over all the outlets! Yup! Both things have happened to me already!